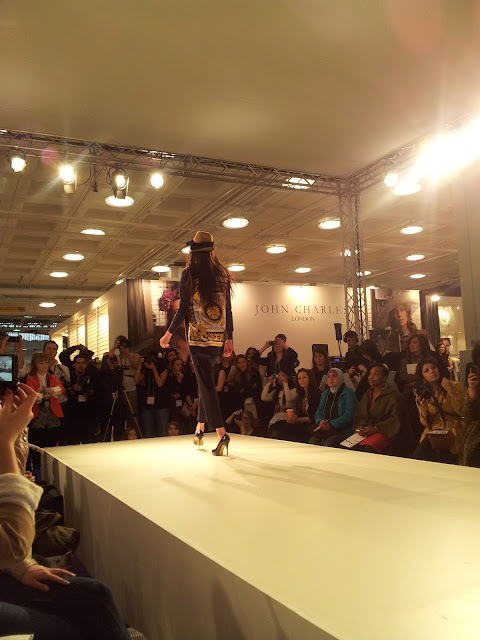 On Monday 13th I went down to Pure London, the leading trade fashion event for sourcing womenswear, young creative fashion for women, accessory and footwear brands. I was able to catch the womenswear catwalk and the young fashion half scene catwalk, and was fun to see what autumn/winter has in store. The three looks they spoke about before the womenswear catwalk were Eco Hedonism, Hyperculture and Radical Neutrality. 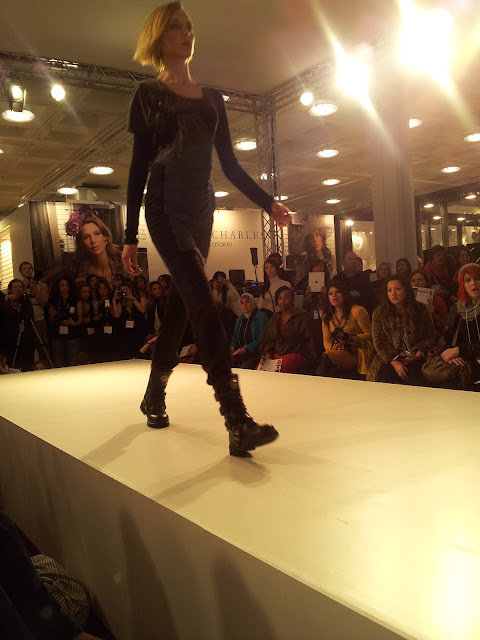 Radical Neutrality struck me the most, I loved the nature aspect to the clothes. I am very into patterns and this look incorporated that well. What I heard a lot during the talks was NEUTRAL! It's all about neutral colours for the 2012/2013 winter just like its all about pastel colours this summer. It's good to have a heads up on whats to come this winter. Love the biker girl look! They will be so good, comfy and warm for the winter this year. What amazed me about these are how did she walk in them?!? Gorgeous but dangerous!!! 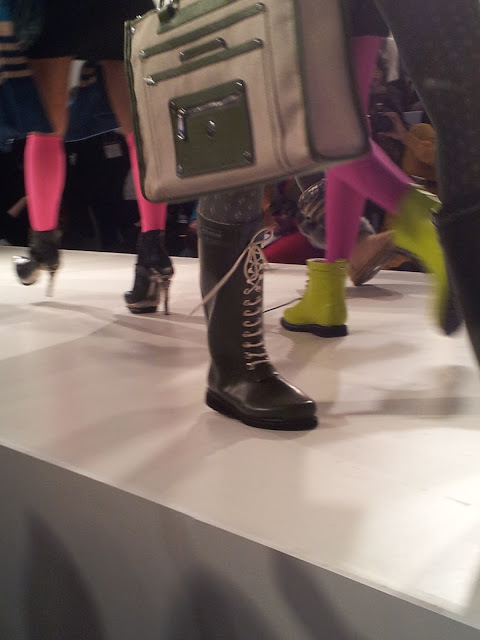 These welly boots look so cute and will be perfect in the mucky English winter. They are practical as well as a fashion statement. My last snap is all about the pattern! This is a simple cardigan but when you look at the back it has such a beautiful design, making any simple outfit stand out. Which give you something different to look at when you always shop high street!